Centralised, intelligent control of your technology – it’s the building of the future, today. More than just control systems, modern advancements in automation technology herald the dawn of the truly ‘smart’ building. Imagine a system that brings together all of your diverse building functions and makes them operate not in the traditional silo manner, but as a unified single entity. Now imagine controlling it from one central point – at the touch of a button. 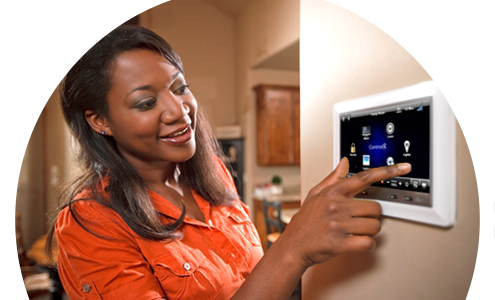 With Crestron and Kramer’s new-age integrated control systems this isn’t only possible, it’s easy. Audio, video, lighting, shades, temperature, security access – up to 10 programs can operate independently and simultaneously. And while the processor does the work in the background, you manage it effortlessly upfront with a portable, desk- or wall-mounted touch screen. Control your technology, don’t let it control you. Call Avicom today. Scalable solutions, there’s one to fit you. Manage multiple programmes and multiple rooms – with one control system. With a track record of over 30 years, electronics giant Kramer heads the charge in advanced audio-visual and meeting room control systems. The heart of Kramer’s control solutions, cloud-based K-Touch v3.0 enables installers to easily design advanced room-control and automation systems that can be operated from any iOS or Android device. Ideal for auditoriums and meeting rooms, the 8-button RC-78R allows you to easily control complex multimedia systems and other room facilities such as screens, lighting and shades. From boardrooms, to classrooms, homes to command centres, control your technology with a Crestron touch-screen solution. A high-definition 10.1 inch capacitive touch screen display with PoE connectivity and a range of mounting options. A stylish solution for charging your iPad Air while using it to control your home, business, boardroom, or classroom. Why Avicom? Leading teleconferencing and video brands. Expert industry knowledge. Years of experience getting it right. That’s why. Contact Avicom now and let’s talk about a solution tailored for you. Call 021 531 3146.